Petra: al-Deir, the Monastery, 850 steps so worth it! 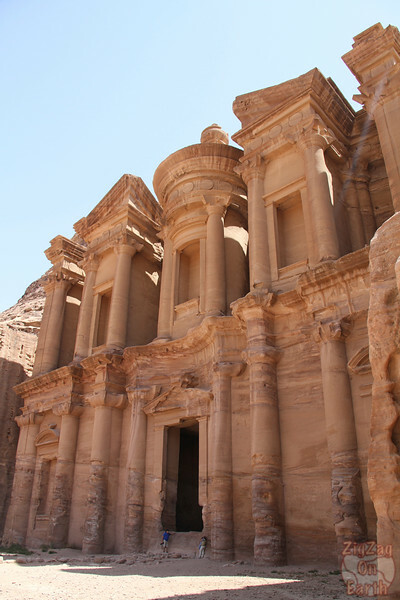 One of the main monuments of Petra is the Monastery. 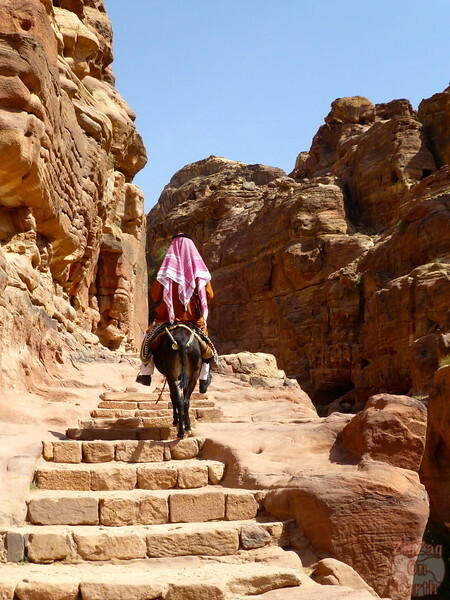 After discovering the Siq, the Treasury and the Lower Street of Petra, if you are not too tired and hot, you can climb the 850 steps up to discover it. The place is well worth the effort! Below are some pictures to convince you and some info on the hike and its difficulty. 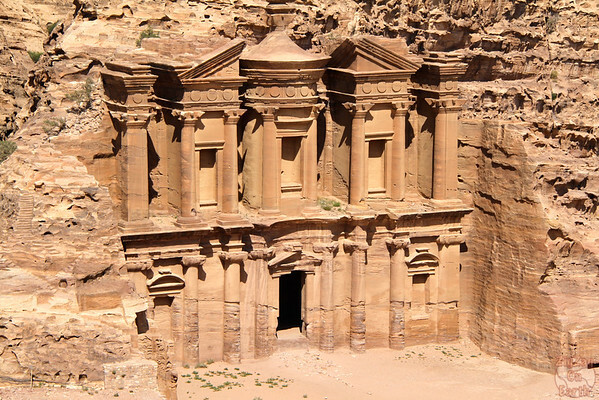 The Monastery, also called al-Deir is located 850 steps up from the lower road. It is a 48m high and 47m wide facade. Although not as decorated, it is very impressive. 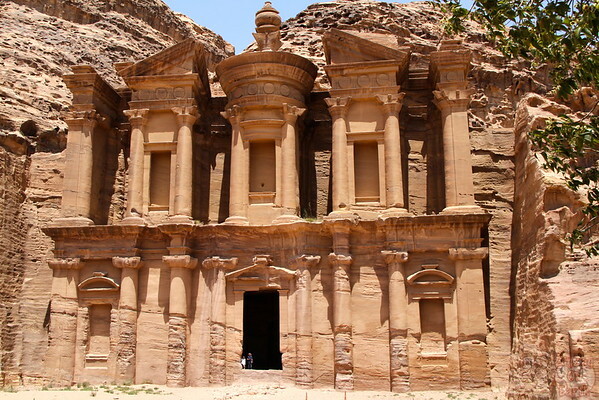 Al-Deir, alias the Monastery is the largest monument of Petra. Although very impressive, it is less known as more difficult to reach. Indeed, you need to climb roughly 850 steps to get the privilege to admire it. But it is worth it, and I am not the only one to say it. I knew I wanted to see it and did a lot of research before to assess if I would be able to make it. I was really worried. I am overweight and not very fit so I looked up at reviews and websites talking about it. The result was that it was between 800 steps and 1000 according to different sites, that it would take 45 min and that a lot of pauses were recommended. 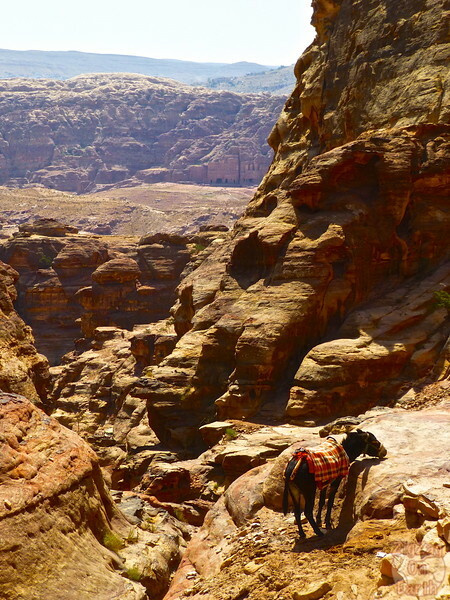 My plan was the following: I took a lot of water, planned 2 hours for the climb to include a lot of pauses, started very early my visit of Petra to do the climb in the morning before the hottest hours of the day. I will conquer it on foot! So I turned right past the restaurant accross the bridge and walked in the sand until the beginning of the steps. My knees started to ache after 350 steps so I was careful to well balance my climb. Along the way a lot of women are selling jewelry, offering you some tea and encouraging you. I read a review from a woman who told one of the seller ‘later’ and then the women remembered when she went back on the way down and insisted that she take a look at her stand as she said she would. So I paid attention to just say no thank you in Arabic and was left alone. The Treasury has this sense of mystery as it is in a small gorge. Although the Monastery does not have that, the effort to reach it makes it the best monument of all to my eyes! LOL. And check out the size of the people to get an idea of the scale of the building. At the top there is a bar with a nice cave to relax. They serve fresh fruit juices which are excellent. For rehydratation, I recommend eating chips and drinking juice. I felt better in the blink of an eye! I had lunch and rested there during the hottest hour of the day admiring this beautiful place. But be aware, there are no toilets up there and no place to hide! After a while I decided to move on. There are 3 different view points that you can climb around here. Walking towards them gives interesting views of the Monastery and you can really realized how it is carved in the mountain. Do you think you are going to climb the steps? many many thanks,a really helpful guide. I am glad you found it useful. It is true that most information we can find are for fit people. 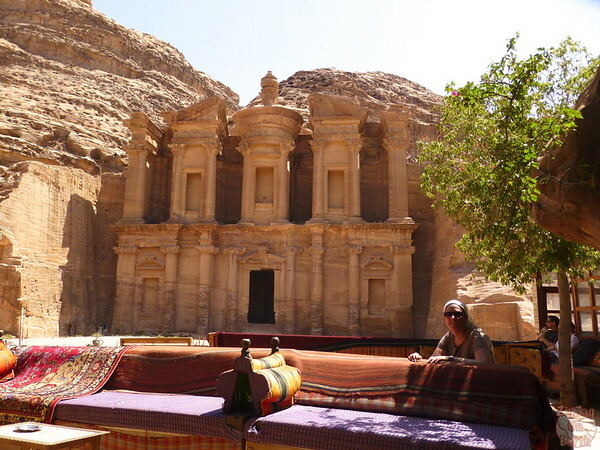 Enjoy your time in Petra! Thanks for your comment. I am glad you found it useful! I am recovering from a sprained ankle and going in 10 days 🙁 Should I even attempt this? As hard as it will be to go up as I am not in great shape, that is not my main concern! I will wear hiking boots but they don’t really prevent you from turning your ankle. I was thinking of taking a donkey down but have read that it’s quite scary going down on the donkey and people fall off regularly. Would love your advice. I am sorry but I can’t give a medical opinion. I am not for using donkeys because many of them are not well taken care of. There is already a lot of walking and things to see until you reach the bottom of the staircase. So you can see once you arrive there, how your ankle feels after all that walking. Excellent job with this web site!! Compliments and many thanks! 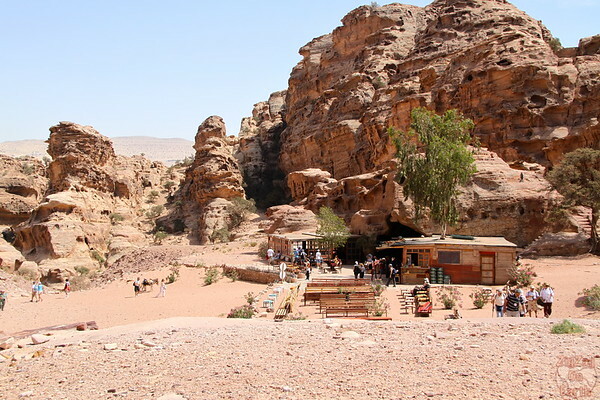 We’ll came to Petra for one full day in May with Desert Eco Tours. Two questions, if I may. Is the path from Museum to the Monastery well marked or you recommend to have a guide? We’ll be in Petra from 8:30 till 16:00. 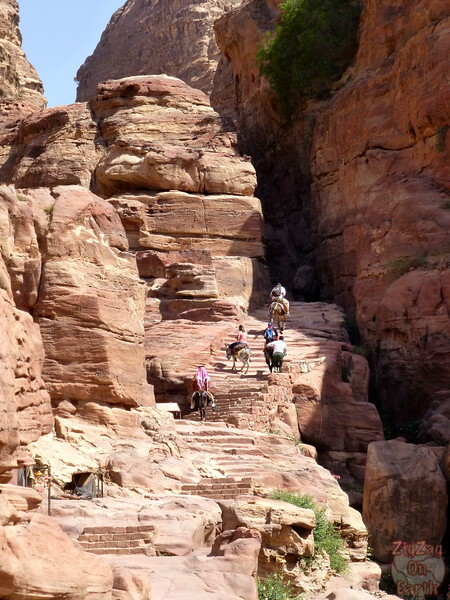 Not enough time for 2 climbs: the Monastery and the the High Place of Sacrifice, right? The path is clear, not to worry. 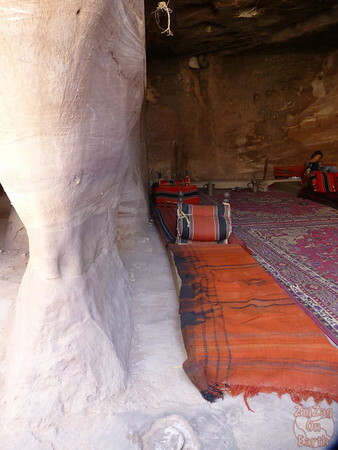 Even really fit, it would be a very tight schedule with the Siq + the bottom walk + both hikes up. You will already see a lot doing only the monastery. 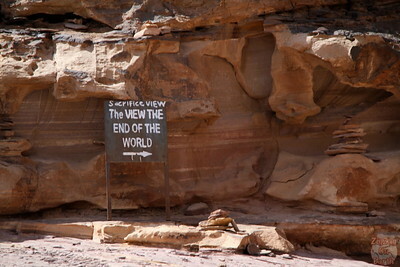 Thank you for the info on Petra. I was worried about the climb we will see how we I do tomorrow. I’m scared of heights , which trail would be best for me considering this ? Thank you for all the information. I think the monastery will be the best. At the top it is a large plateau so no issues when you are there and while climbing you can look on the rock side to avoid vertigo. 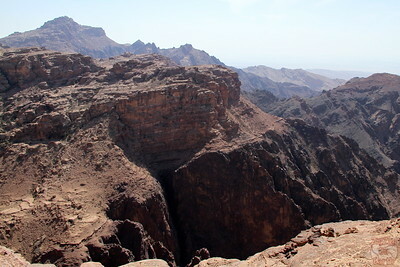 The other hikes do not have large plateaus at the top, it will be cliff views everywhere. 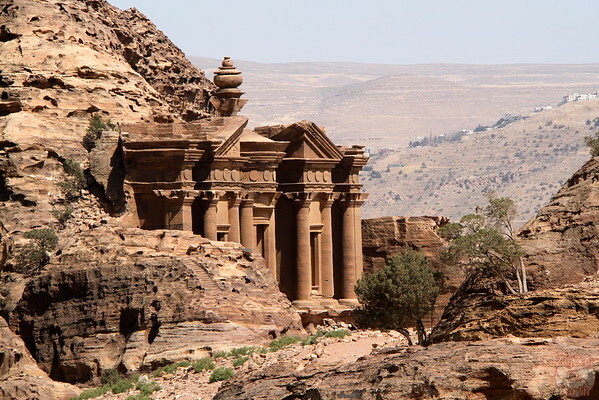 We will be at Petra in a week with a tour group. Approximately how many hours do we need to alot from the Treasury………to the top of the Monastery…….and back to the Treasury I am fairly certain that we will have to break away from our tour group, but need to know time frames. Thank you for your wonderful info. I just can’t wait! I think it took me around 1h30min from the Treasury to the top of the monastery, walking slowly and taking breaks. (50min sure for the climb from the museum, but for the rest I am not sure). There is also lots to see on the bottom roads from the Treasury. I wish you happy travels!